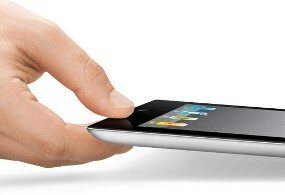 iPad 'Made in Brazil' Meet Obstacles ~ " World Information "
The plan, Foxconn will build a plant in Brazil. Later this factory will be used to make the iPad, mainly to South American markets. However, as quoted by Reuters on Saturday (05/07/2011), the plan still seems to be experiencing a lot of obstacles. Foxconn also backed the plan from July to November 2011. Foxconn mentioned is still negotiating with the rule of the Samba Shake it. Among others, they hope for tax relief and capital assistance. Value Foxconn investment in Brazil was mentioned could reach $ 12 billion. Significant value to help inoculate the economy there. On the other hand, Foxconn and their clients such as Apple could reap a profit by having a factory in Brazil. This will help marketing iPad into Latin American market, known consumptive. Currently, the iPad in Brazil could be sold for twice that in the United States due to tax and others. Yet in terms of location, Brazil and the United States is pretty close. Foxconn hopes to get tax incentives for production and also the relief to be able to import the required components. The company also wants to help Taiwan to be sent 200 engineers from Brazil for training to China. Initially, Foxconn will perform in Brazil iPad assembly of imported components. Later, several components and spare parts will be manufactured locally there.